Where Tenants Can Score the Best—and Worst—Deals: It's always good to kick off a new year with a few age-old questions: What is the meaning of life? Did the chicken or the egg come first? 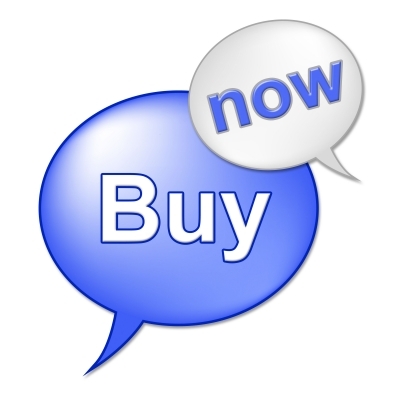 And where can folks find great rental deals? 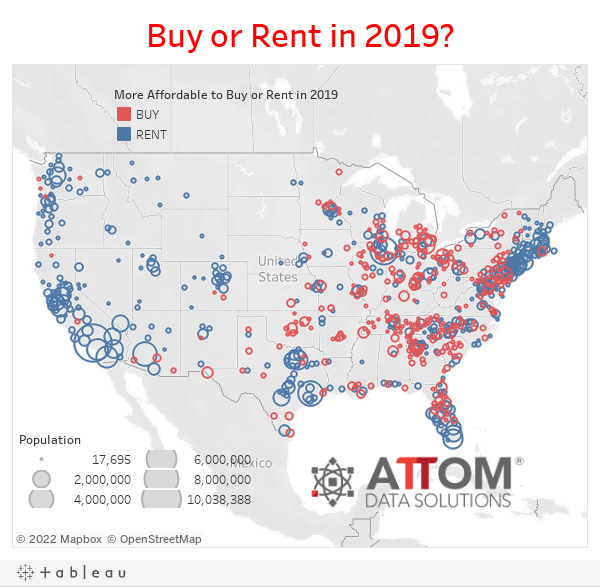 With sky-high prices in most of the nation, it's cheaper to rent a three-bedroom property than to purchase one in 59% of U.S. housing markets, according to the 2019 Rental Affordability Report from real estate information firm ATTOM Data Solutions. And unfortunately, home prices are rising faster than rents in 70% of housing markets. 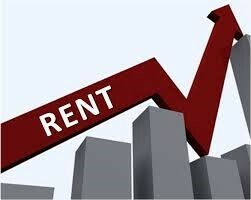 The firm looked at U.S. Department of Housing and Urban Development fair market rent data, U.S. Bureau of Labor Statistics wage data, and sales deed data in 755 counties to come up with its conclusions. 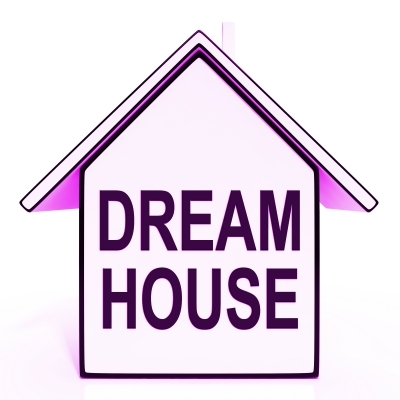 The American Dream of owning a home may be just that—a dream," ATTOM spokeswoman Jennifer von Pohlmann said in a statement. “Home price appreciation [is] increasing annually at an average of 6.7% in those counties analyzed for this report and rental ates [are] increasing an average of 3.5%." Where is renting the most unaffordable? Penny-pinching, would-be homeowners want to avoid the nation's biggest cities, where it's nearly always cheaper to rent than to buy (although rents are no bargain in these markets either). The only three counties analyzed with a million or more residents where it's cheaper to buy than rent are Wayne County, MI, home to Detroit; Philadelphia County, PA; and Cuyahoga County, OH, home to Cleveland. Those on a budget, whether they're renting or buying, also probably want to steer clear of California. Santa Cruz County, in Northern California, was deemed the most unaffordable rental market when factoring in wages—it takes about 81.7% of average earnings to lease a three-bedroom abode there. The county of luxurious homes sits on the Pacific Ocean just south of Silicon Valley, the nation's priciest housing market. Santa Cruz was followed by Honolulu County, HI; Spotsylvania County, VA; Maui County, HI; and San Benito County, CA. Where is renting the most affordable? So where can renters catch a break? Those on a tight budget should look at smaller cities and their surroundings in the South and Midwest. The most affordable markets for tenants seeking three-bedroom abodes are rural Roane County, TN, near Knoxville. That's because they'll spend only an average of 19.7% of their wages on housing to live in the community, home to one of the nation's top research labs, the Oak Ridge National Laboratory, at the backdrop of the Great Smoky Mountains. Rounding out the top five affordable rental areas are Peoria County, IL; Mcminn County, TN; Green County, OH, home to Dayton; and Rhea County, TN. Whether you're moving across town or across the country, planning can make your transition a lot smoother. For more information on your responsibilities as a homeowner, visit Carriene Porter at Precision Realty & Associates,where you’re guaranteed to get the expertise and advice you need.